Despite the usual holiday business, I fit in a couple of volunteer sessions at the Field Museum recently. Everybody in the bird division there was getting ready for their annual trek up to central Wisconsin for Christmas Bird Counts. For my part, I will be participating in a backyard feeder count on the 26th. 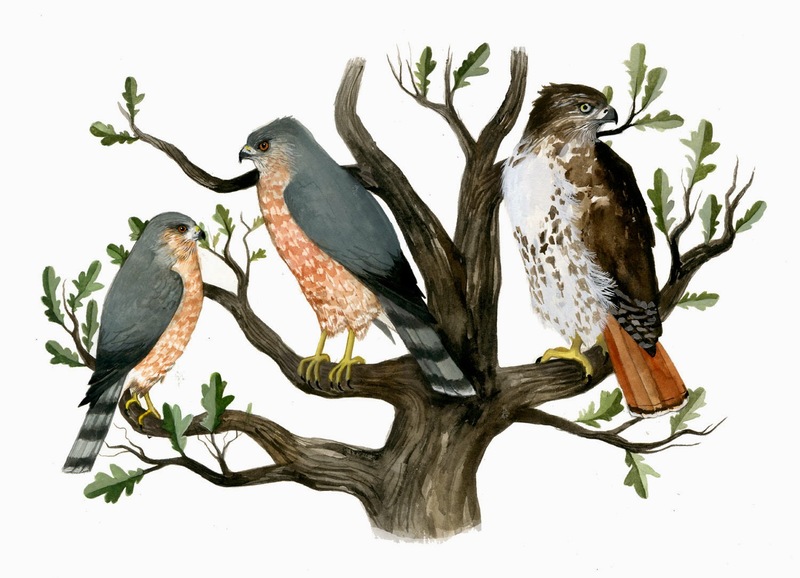 Christmas bird counts have played a very important part in civilian science, and are family traditions for some. I am hoping that maybe next year I will have the time to start my own tradition, and participate in my first true Christmas bird count. In the meantime, I am finishing up another batch of paintings for Sebastian Foster. The last of which you see the beginnings of here. 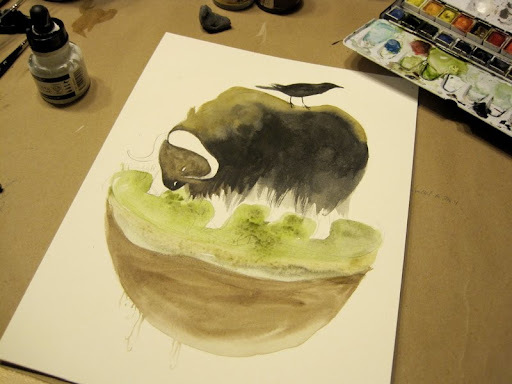 It's of a Musk ox, another favorite animal. Thanks to everyone that has been checking in to the blog, and has been ordering work. I'm so grateful, and in the coming days will be posting a little contest to win an original watercolor as my way of saying thanks. Stay tuned!